If you have decided to learn the dark art of Snowboarding and are venturing out to the mountains for the first time, then I welcome you to the dark side and to a life-long obsession with sliding sideways. For your first few snowboarding trips it is best to rent your equipment as a snowboard, bindings and boots are expensive and totally wasted on beginners. Your rented Head snowboard (they are always Head!) may have non-existent edges and may look like it has been chewed by a shark, but it will do until you progress and know what style and type of snowboard, bindings and boots you will need. Long gone are the days of layering up with cotton T’s! Base layers are usually very thin and tight fitting, designed to keep you warm and dry by extracting moisture away from the skin. A mid-layer is worn over the base layer. It is designed to keep you warm while being highly breathable to let the moisture from the base layer escape. Both base and mid layers vary in price but can be very affordable from brands such as Dare2b. A snowboard jacket is generally slightly more loose than a ski jacket and the price you can pay for one varies immensely. The fashion in snowboarding changes every season so I would stay well clear from the latest ‘must haves’ as they will be the ‘must not’s’ next season; stick to the more conventional styles and colours (with black or red you can’t go wrong). As for snowboarding trousers, make sure they are a loose fit but not too baggy unless you are going for the park rat gangsta look! Your outerwear needs to be both waterproof and windproof, yet breathable. Go for a jacket that has ventilation zips under the arms for extra control of your body temperature as it is surprising how hot you can get snowboarding. Other features to look for in a jacket are an internal snow skirt for those powder days, weatherproof zips to keep out the bitter cold mountain wind, detachable hood and a ski pass pocket. For spring conditions it may be best to go for a lighter jacket, Gilet, or even a snowboarding padded shirt as it can get quite toasty on sunny days. You do not want to get cold toes on the mountain so don’t skimp on socks. Go for snowboard-specific thermal socks that have a proper heel for comfort and feature some kind of wicker odour control. Do not go for cheap ski tube socks as they are not a good fitting and stay well away from general hiking socks as they are normally not the correct thickness or length. Cold fingers are the cause of many early days off the mountains so get a decent pair of ski gloves or mitts. For those bitter cold February days in the Alps it may be worth getting a pair of thin under-gloves as well. More than just a fashion statement, goggles are a necessity if you don’t want to suffer from snow blindness or from those pesky UV rays burning into your retina. Choosing goggles is not easy though although I do suggest not to snowboard in sunglasses as a shard of glass in your eye can really ruin your day! The most important choice is what colour lens to get and that doesn’t mean choosing a lens to match your jacket. Some goggles have clip out lenses and come with a couple of different colours lenses in the pack, and you can purchase extra ones if needs be. If you buy a pair with a fixed lens then it is best to go for a Mauve/red lens as they are more of an all-rounder than other colours. Other types of lenses include a mirrored or black lens which are great for bright sunshine but not so good in flat light. For dark cloudy days and flat light conditions a clearer lens is better or even go for light orange. A polarised lens will be more expensive but will give you better visibility. Another feature to look at with goggles is how good the ventilation is, as there is nothing worse than shredding the slopes with a steamed-up lens. Also, as with sunglasses, make sure the lens is of high quality to block out the harmful UV rays. I know that you are not going to the beach, but unless you are working on your goggle tan line then you will need a high factor sun block. The colour white reflects light so the snow reflects the sun’s harmful UV rays giving you double dosage that will fry your face, even on a cold cloudy day. 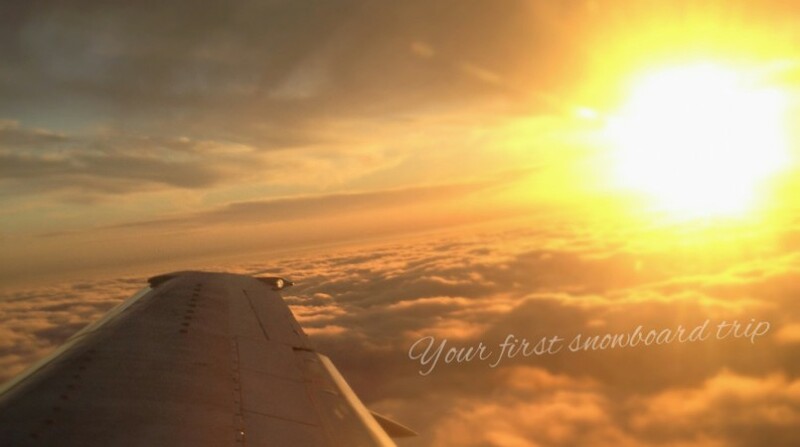 If it is your first time snowboarding then it is guaranteed that you will spend most of your time on your backside. Protection shorts will not only save you from countless bruises and a cracked Coccyx, they also act a a cushion while sitting on the snow (of which you will do plenty of!). 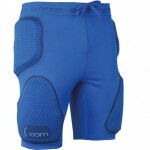 Check out our Forcefield Protective ‘Boom’ Shorts Review. Five years ago, very few snowboarders wore helmets as it was considered uncool. The pendulum has now swung completely the opposite direction and you will find it hard to see anyone (including skiers) not wearing one. The debate may still rage on but the those in favour are definitely winning and it makes sense to protect your nod. Of course, you can hire a helmet but this can be expensive considering you can buy a decent lid for under £50. Don’t go for a cheap unbranded helmet on ebay from some obscure part of the universe, make sure it has all the relevant EC markings and whatever you do, don’t buy one second hand. There are many different styles of lids from skate inspired designs to the stormtrooper style Ruroc helmets. The Ruroc helmets cover the face as well and are a bit Marmite within the snowboarding industry to say the least, as they are ridiculed by some but loved with a passion from those who do wear them. Okay, so you may have seen Art Of Flight a trillion times and your mates have told you that they will teach you how to snowboard, but I would recommend at least having a few lessons with a pro. Getting a good technique from the beginning will speed up your progression in the art of shredding sideways.